"These results were a surprise and represent a total novel finding in the area," said senior author Frank J. Slack, Ph.D., Director of the HMS Initiative for RNA Medicine at the Cancer Center at BIDMC. "We have identified a novel pathway required for drug tolerance that is regulated by a microRNA. Targeting this microRNA reduces tolerance, suggesting a potential new approach for treatment of lung cancer." 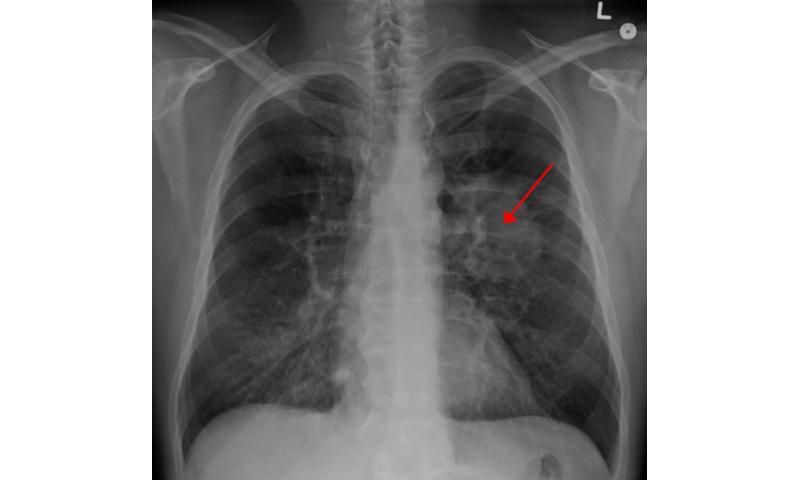 Lung cancer is the leading causes of cancer-related deaths among both men and women. As a class, non-small cell lung cancers—which comprise about 85 percent of lung cancer diagnoses—tend to be less aggressive but harder to treat than small cell lung cancers. About one in 10 non-small-cell lung carcinomas carries a mutation to a protein called EGFR on the surface of the cancer's cells. Since 2003, several medications that block the activity of the EGFR protein—a class of drugs called tyrosine kinase inhibitors—have received FDA-approval for the treatment of EGFR-positive lung cancers. However, despite patients' sometimes dramatic initial response to these medications, many patients eventually relapse as their cancer develops resistance to the treatment. By studying drug resistant tumor cells, Slack and colleagues identified the key players driving the development of drug resistance. "In this study, we discovered that a microRNA known as miR-147b is a critical mediator of resistance among a subpopulation of tumor cells that adopt a tolerance strategy to defend against EGFR-based anticancer treatments," said Slack, who is also the Shields Warren Mallinckrodt Professor of Medical Research, Departments of Pathology and Medicine, Harvard Medical School. "We are currently testing the idea of targeting this new pathway as a therapy in clinically relevant mouse models of EGFR-mutant lung cancer."